 ironGAINS app empowers concept of progress motivation. Progress motivation comes from feedback on training and realization of small wins. ironGAINS helps to push past trainee limits, break through plateau and gain power, strength and muscle. 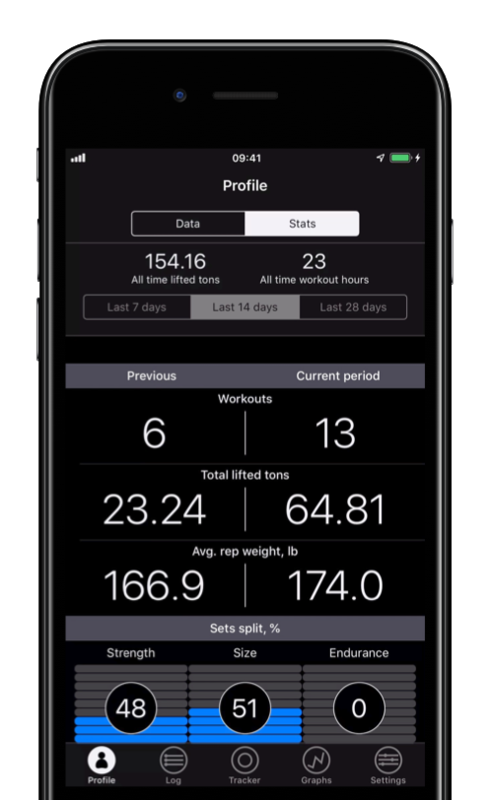 With ironGAINS app you can always see the record of previous workout session, and it will challenge you to do more for present workout session. Read more.. It is simple to forget about progress made and start to feel discouraged. Training and records history will remind how far you've come and prevent from dropping out. Within ironGAINS essential training indicators are set to confront in previous / present template. It fosters realization of training success and keeps you engaged and willing to continue. Within ironGAINS exercise tables are defined by the reps schemes. 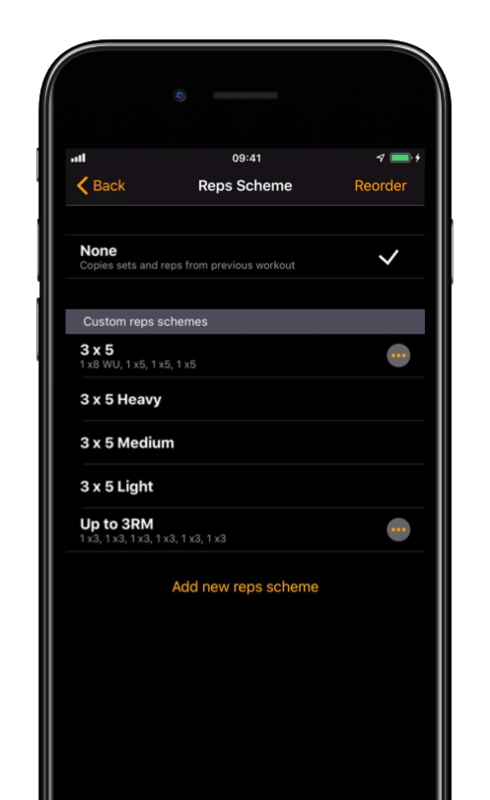 Reps scheme is a certain combination of sets and reps.
You can create custom reps scheme and later use it for every exercise you like and track the exercise by many different training protocols. 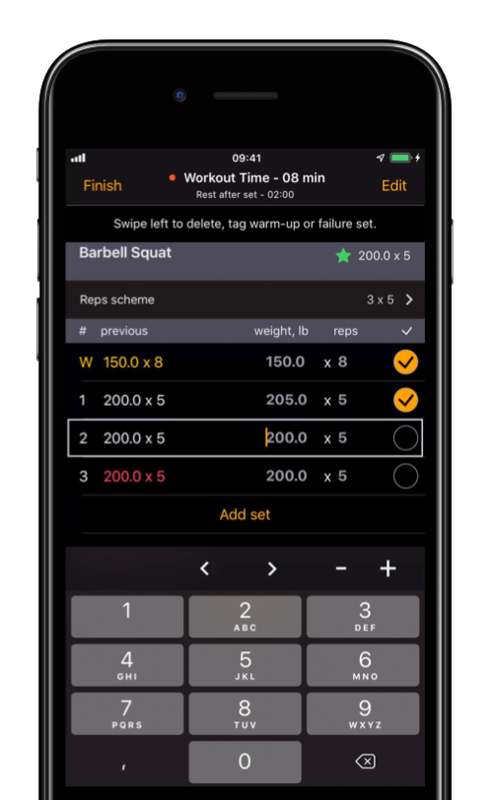 Read more..
You are able to build custom workout routines from over 150+ preloaded exercises or create your own. 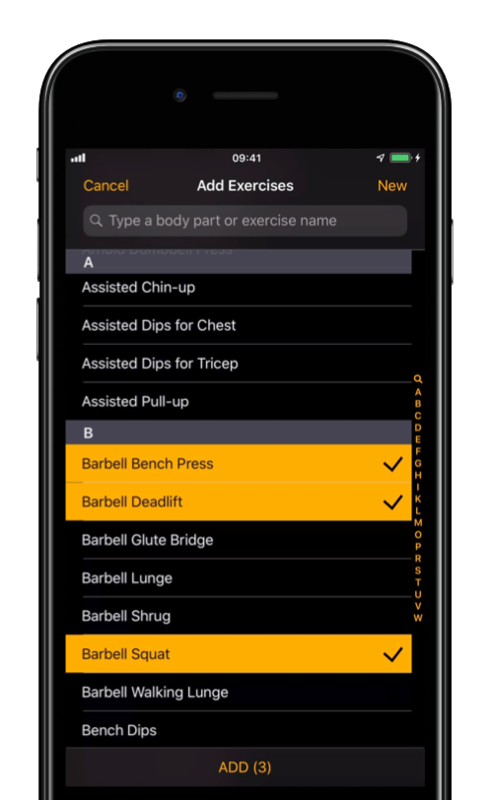 You can filter exercises by body part and add them to the workout routine in a bulk. Read more.. Complete set, tick set, rest, repeat. That's it. 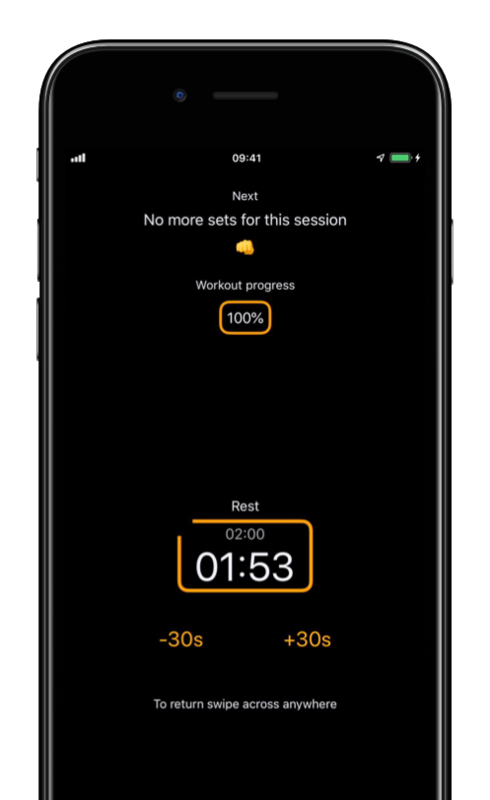 Rest timer will be triggered automatically every time, when you complete a set. 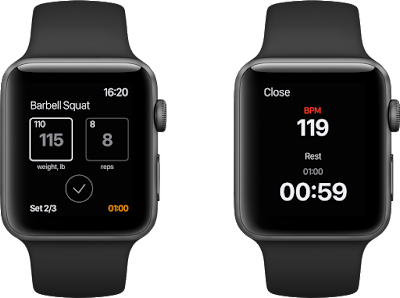 Rest timer alarm will remind you, when it's time to move on the next set, so your workout sessions will be streamlined. Read more.. 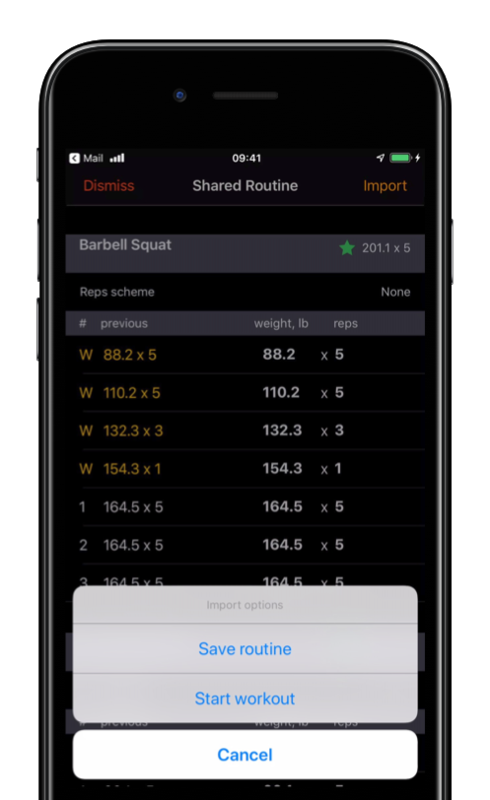 Export and share your workout routines in no time and let your fellow trainees to easily import and follow your routine. 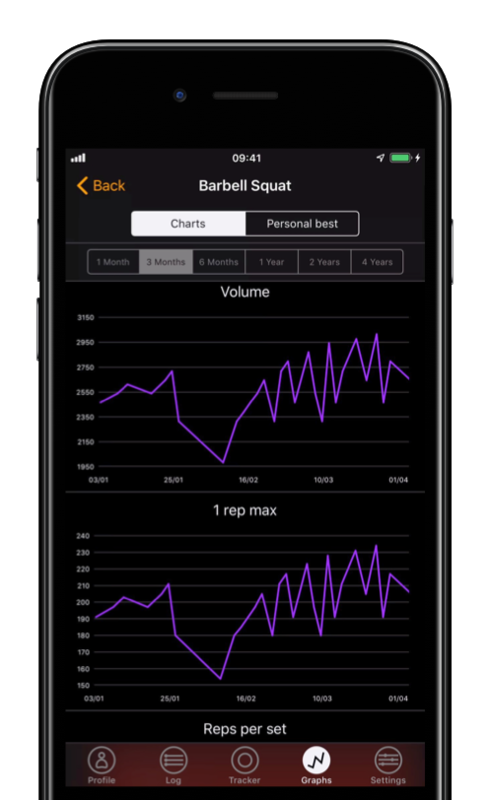 Read more..
ironGAINS contributes to the Health app activity data and has Apple Watch companion app for more freedom.